You’ve invested in your fly fishing equipment, practiced your overhead cast and picked out the perfect fishing spot, but now you need to figure out how you plan to catch that trophy-worthy fish. That means picking out one of the most important pieces of your fly fishing ensemble: the fly. The fly is the bait you use for fly fishing. 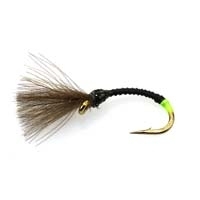 Unlike traditional casting bait, the fly is as light as a feather and relies on the weight of the fly line to cast it out onto the surface of the water, where it imitates the skirting motions of a natural insect to attract fish. Since they are designed to look like the insect there is a fly for virtually any insect you can think of, which means there are thousands of them to choose from; so how do you know which one to use? What kind of fish do you want to catch? Where do you want to catch it? When do you plan to fish? What are the water conditions? When it comes to choosing a fly, experience really knows best. So once you have answers to these questions, the best thing to do is speak to local fly fishing anglers or someone at a local fly fishing shop to ask them what has had the most success in their area. Keep in mind that every angler has their own preferences and opinions, so the answer is always going to be a bit subjective. Even still, they’ll be able to give you the best guidance. 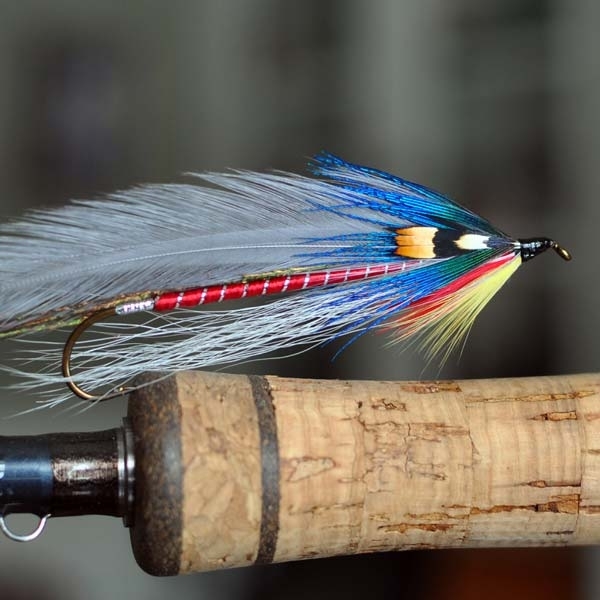 What are the different types of fly fishing flies? Before you speak to local anglers or visit a fly fishing shop, make sure you have a basic understanding of the most common types of fly fishing flies. 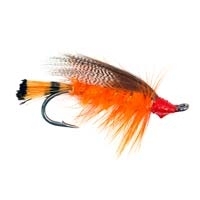 Each one will come with its own advantages and disadvantages, but knowing the differences between them will help answer the question of what fly to use as you become a more seasoned fly fishing angler. 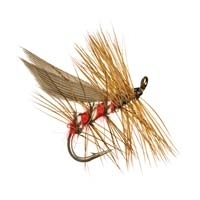 Dry flies are the most common type of fly fishing fly. They’re designed to mimic a natural adult-stage flying insect that lands and floats on top of the water. The fish will be able to spot the fly as it hits the surface of the water and will quickly swim up to grab the fly if the fish finds it appealing. You will know if you were successful because there will be a splash as the fish launches into the air, ready for you to reel it in. Flies that “match the hatch” resemble insects that were hatched near and live around the water, such as mayflies, midges and mosquitoes. Terrestrial flies are less common, but are slowly growing in popularity as more anglers realize these flies are often more realistic to fish such as trout. They resemble bugs that float on or across the water, like grasshoppers, so they are typically made of foam to help them float. Attractor flies are different from a typical fly because they don’t actually resemble an insect at all. Instead, they use bright colors, shiny materials and long pieces of rubber that move in the water. The goal of these flies is to catch the fish off guard by attracting them quickly before they have time to realize the fly doesn’t necessarily look like food. Nymphs and streamers are designed to float below the surface and mimic drowned insects or bait fish. 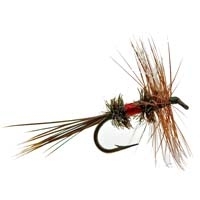 Wet flies are more often used in freshwater and are an ideal type of bait to attract trout. Nymph flies mimic the larvae-stage of aquatic insects and float at or just below the surface of the water. They are arguably the most successful fly for fly fishing since fish feed below the surface 80% of the time. Since these flies sit beneath the surface of the water, you won’t be able to see if the fish grabs the bait unless you’re in close quarters, so you’ll need to use a strike indicator. A strike indicator is a small float that attaches to your fly leader and dips below the surface when a fish grabs the fly so you know to reel it in. 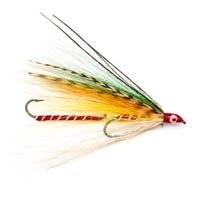 Streamers are often referred to as lure by fly fishing anglers. These flies are very similar to nymphs, but they’re larger, resembling creatures such as minnows or leaches. Unlike dry flies and nymphs, which you let sit on or in the water, you’ll move a streamer fly in bursts by tugging on your fly line. The movement imitates that of a living creature and, thus, attracts the fish. When you use streamers, you’ll want to use a heavier leader and tippet to keep your line from breaking. If you aren’t having success with one type of fly, even if it was recommended by a more seasoned angler, don’t shy away from trying something else. You’re going to be using different types of flies while you’re out fishing, and as long as you’re willing to keep trying to figure out what works best, you’ll have an enjoyable fly fishing experience. Think others will enjoy this? Click any of the icons below to share it with them!